Facebook’s CEO is setting up an external committee to police fake news and hateful content after more revelations about how he and others dealt with Russian meddling. But outsourcing decisions won’t fix Facebook’s culture. Removing Zuckerberg as chair would be a good first step. 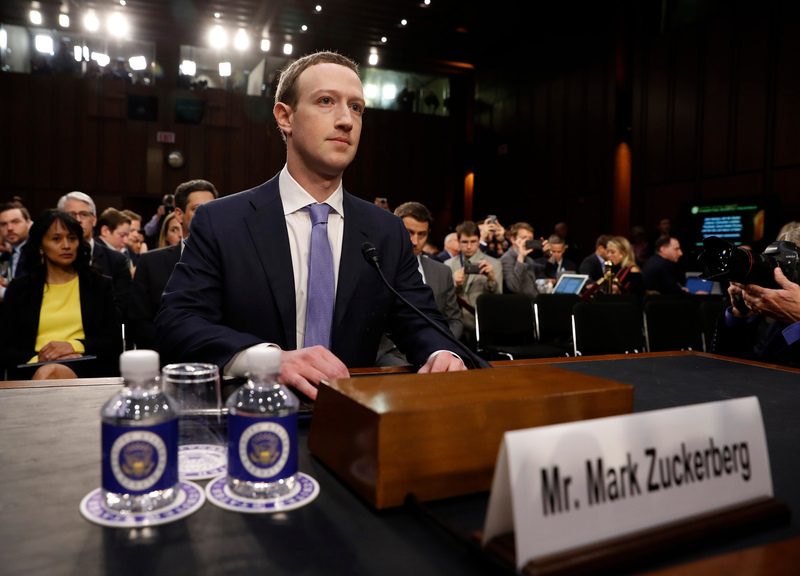 Facebook CEO Mark Zuckerberg arrives to testify before a Senate Judiciary and Commerce Committees joint hearing regarding the companys use and protection of user data, on Capitol Hill in Washington, U.S., April 10, 2018. Facebook Chairman and Chief Executive Mark Zuckerberg said on Nov. 15 that the social network plans to establish an independent governance and oversight committee for content decisions. Facebook’s board of directors issued a statement earlier in the day defending Zuckerberg and Chief Operating Officer Sheryl Sandberg for how they responded to a Kremlin-backed campaign to use the social-media network to meddle in the 2016 U.S. presidential and Congressional elections. “To suggest that they know about Russian interference and either tried to ignore it or prevent investigations into what had happened is grossly unfair,” part of the statement read. The New York Times reported on Nov. 14 that Zuckerberg and Sandberg ignored warning signs and tried to conceal them from the public about how Facebook was being manipulated including spreading hateful and fake content.